Thank you for visiting Hermy’s HVAC Rapid City. Are you looking for an HVAC Contractor in Rapid City or surrounding area? Hermy’s HVAC Rapid City is a great choice for your heating contractor or air conditioning contractor needs. 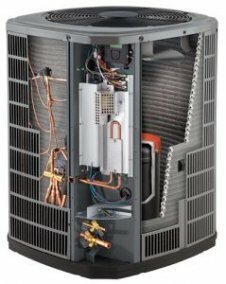 Hermy’s Heating & Air Conditioning is a leading HVAC contractor in Rapid City specializing in commercial heating and cooling. We also specialize in sheet metal and residential heating and cooling installations. Upgrade your current heating and air conditioning system which improves your energy efficiency and lowers your energy costs! Whether you are looking to upgrade or need a complete HVAC installation, contact Hermy’s for a free estimate. Professional HVAC Repairs and Installations. Fast, Reliable Heating and Air Service. Our reputation is built on our customers’ complete satisfaction, so it makes sense that we are willing to back up our commitments to you with quality installations the first time. Bryan and the entire staff at Hermy’s HVAC Rapid City is committed to making sure you are happy and comfortable in your home. You will see the difference that commitment makes when you trust us with your furnace or air conditioner.